If you are looking for a fun weekend activity, head to the SSEA Center. 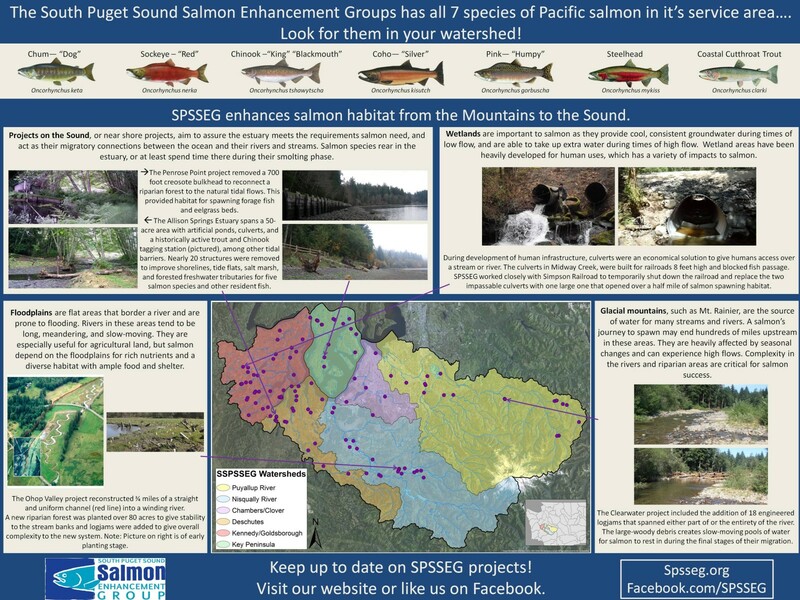 The South Sound Estuary Association (or Estuarium) is now at their new location in downtown Olympia, and our exhibits should be on display, including a new poster about SPSSEG and our projects (picture below)! Visit sseacenter.org for hours of operation.